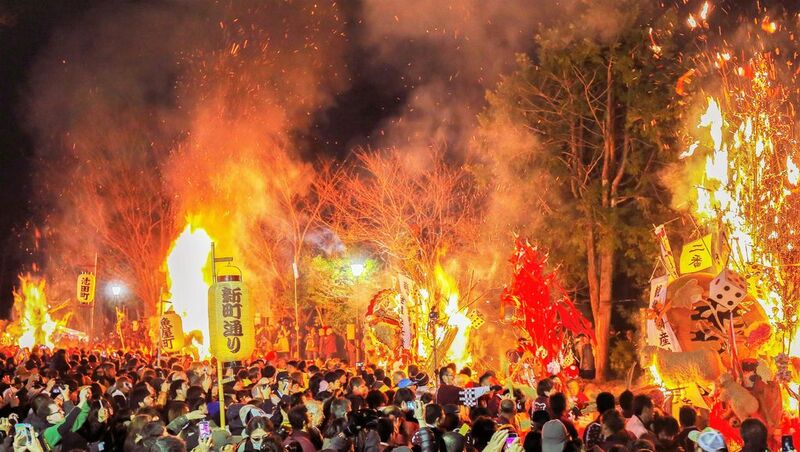 On Sunday evening in mid-March, people dance wildly amid showers of fire sparks around “Sagicho” , the blazing pine tree floats. A figure of the animal of the year according to the Oriental Zodiac, made with marine products and grain, is mounted in the center of this float. Access :Obatacho-Shiryokan-mae bus stop on the Chomyo-ji bus route from Omihachiman station on the JR Biwako line.